While other ethereal creatures move through walls, Liches often times find themselves falling back to the ground they so desperately clawed out of. Lets face it, the undead are not well balanced, even a polished pebble can snag a ghastly Revenant dragging it's feet. 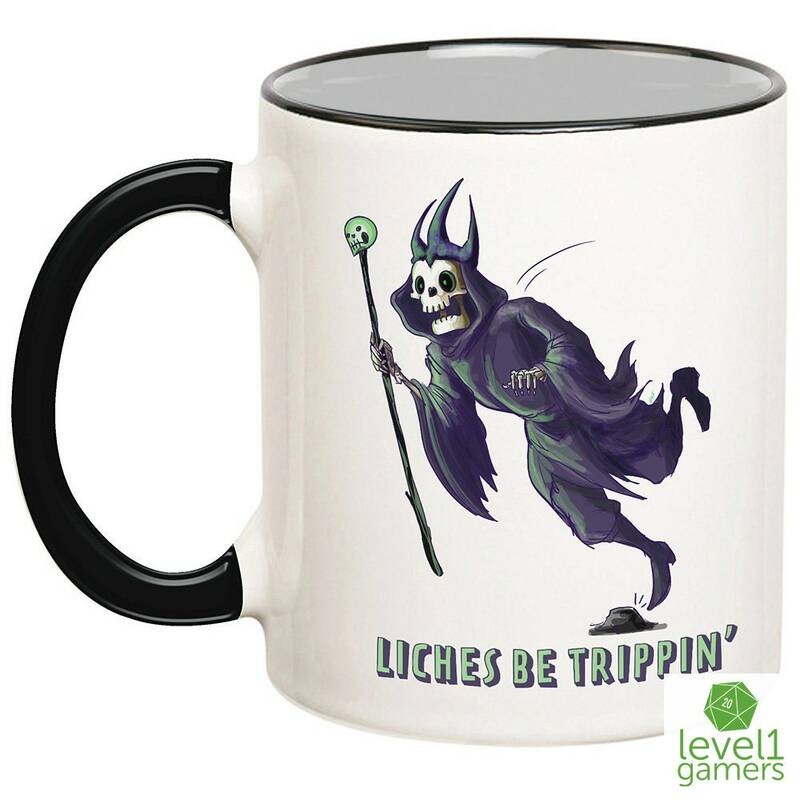 It's fair to say that Liches be trippin', but you don't have to. 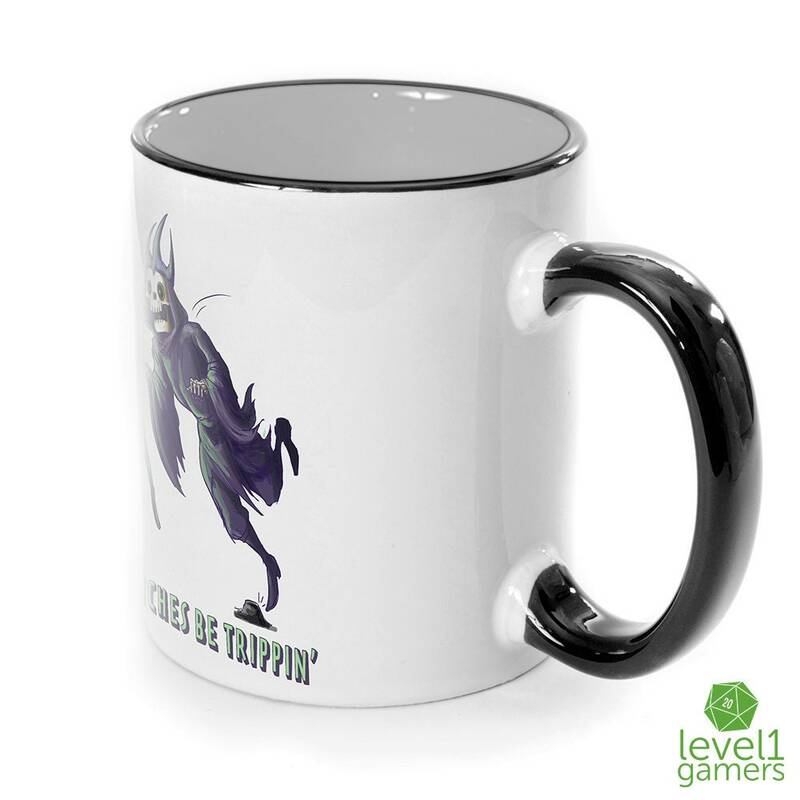 Pick up one of these amazing role playing mugs for yourself and your friends! Each coffee mug comes with a stylish black handle and interior. We press each design using fine quality sublimation inks, which really makes the awesome artwork stand out and dishwasher safe. 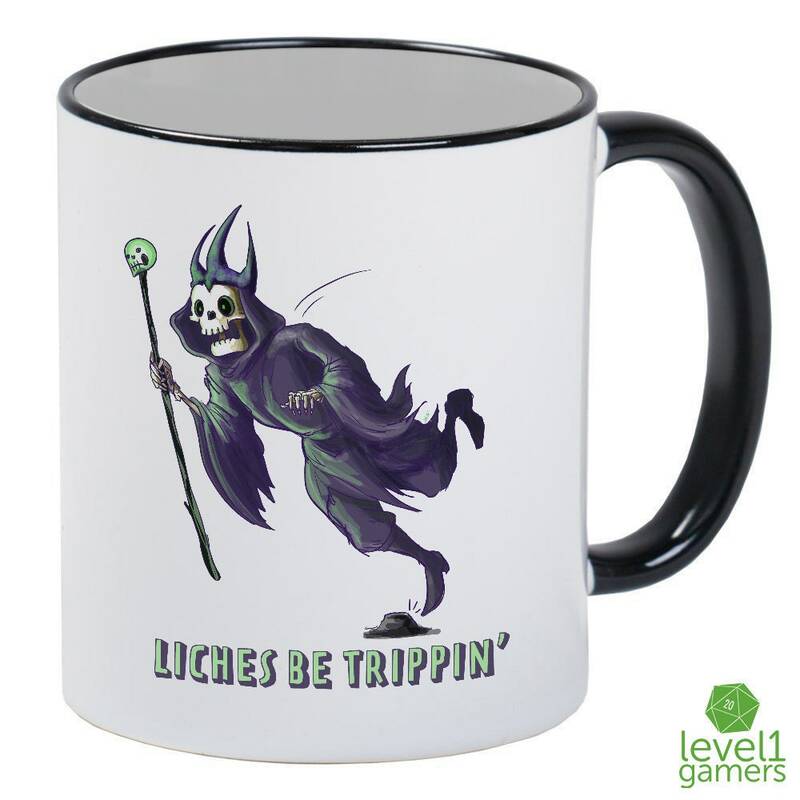 As a matter of fact, if a Lich is chasing you... throw this mug at it's feet. It could save your life.